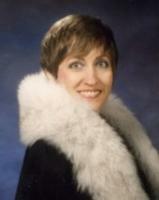 Beverly Jean Pratt Campbell, 57, of Idaho Falls, passed away November 9, 2008, at her home of complications following a stroke and a fall. She was born January 22, 1951, in Shelley, Idaho, to James Sanders Pratt and Vesta Dunn Pratt. She spent her early years in Basalt and attended school there before moving to Idaho Falls with her family when she was 8 years old. She then attended Eastside and Hawthorne Elementary Schools, O. E. Bell Jr. High School, and graduated from Idaho Falls High School. She also attended Ricks College in Rexburg, Idaho. She married Robert Newell Campbell September 24, 1970, in Jackson Hole, Wyoming. Their marriage was solemnized April 9, 1982, in the Idaho Falls LDS Temple. They lived in Alexandria, Virginia for one year, then returned to Idaho Falls, where they have lived ever since. Bev worked as a retail credit administrator at Chesbro Music and as an office clerk and secretary. She was also a full-time mother, chief cook and bottle washer at home. An active member of The Church of Jesus Christ of Latter-day Saints, Bev served as a Sunday School teacher and Activities Chairman. She also served as a cub scout den mother, volunteer for Cystic Fibrosis, and as PTO Vice President at Hawthorne Elementary School. Bev enjoyed writing, artwork, playing the piano, decorating and cleaning her home, and loved talking and counseling with her family. Survivors include her husband, Robert Newell Campbell of Idaho Falls; son, Taca Shawn (Tracie) Campbell of Albuquerque, New Mexico; son, Jacob Newell Campbell of Idaho Falls; daughter, Allison (Shane) Hollander of Honolulu, Hawaii; daughter, Emily Ann (Casey) Kelley of Idaho Falls; and her sister: Marcia Pratt of Idaho Falls, as well as 11 grandchildren. She was preceded in death by her parents, and two brothers, Robert Lynn Pratt and Larry James Pratt.